I am pleased to be able to share the wedding film I did for Gemma and Richard. 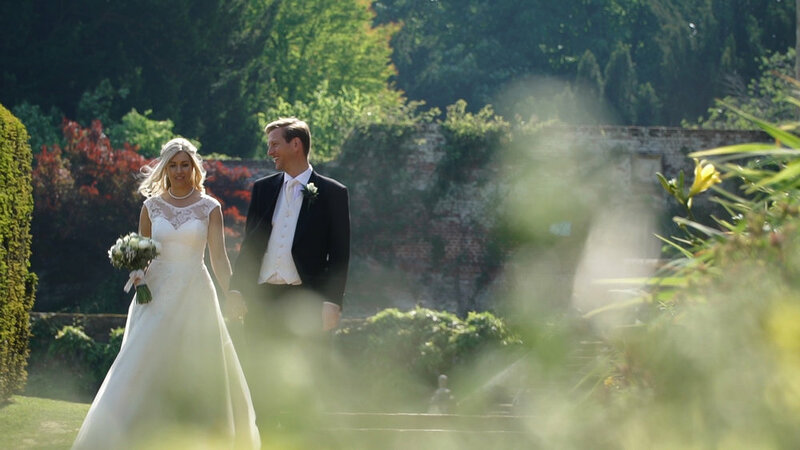 The wedding took place on a delightful day in May with the ceremony taking place at St. Augustine's Church in Tunbridge Wells and the reception at the truly magnificent Penshurst Place. In the evening, a brilliant band called The Bears made sure the dance floor was full. Stills photography on the day was by John Knight but here are a few of my own. DVDs and Blu-rays are available at the link below also. Thank you to Gemma and Richard for inviting me to film the day and I hope you enjoy the film. All discs include: Main Feature incorporating all of the Ceremony, Speeches and First Dance. Plus the Highlights Film, Video Diary and Deleted Scenes. Available on DVD, Blu-ray and as a Combination Luxury Blu-ray and DVD Box Set. Free Delivery.